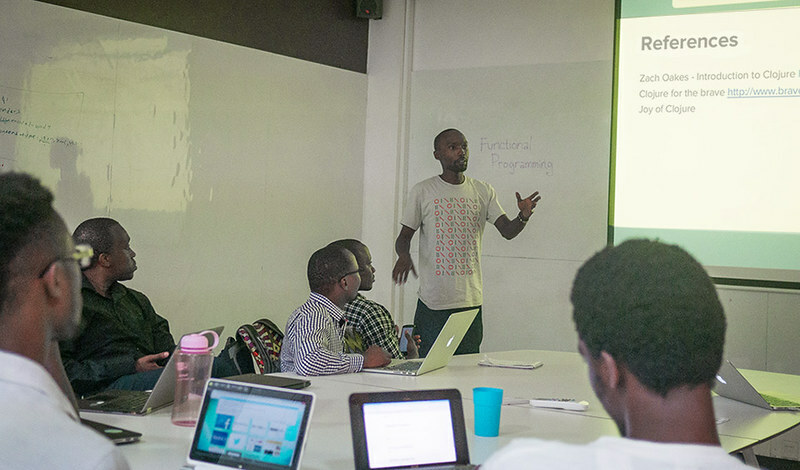 Okal Otieno and Roy Rutto from Ona were the featured presenters at the inaugural Nairobi Functional Programming meetup. The meetup was conceived by Okal and Roy to "discuss the core concepts of functional programming, why use it, and experiences using it." The iHub UX Lab graciously hosted. A new year and a new service from Ona! In addition to fixing the last few bugs before we release Ona v2, we’ve been working on an exciting new analytics product called [RealTime XLS Reports]https://help.ona.io/knowledge-base/what-is-an-xls-report/). For the first time, Ona users can access a beautiful Excel report of up-to-the-minute Ona data, complete with customized metrics and indicators. Now it’s easier than ever to user your data to make timely decisions and actions. Read more about it, email us if you’re interested in a report, or download an information sheet to email to someone you think might be interested. We're excited to announce the release of an updated map of GitHub Users in Africa. Since 2013 when we created the first map the amount of GitHub users in Africa has increased from roughly 4,000 to 12,000! That's still quite small compared to other regions of the world but exciting growth in the right direction! If you are a developer in Africa and want to ensure you are counted in this map update your profile to include an African country and/or city in your user profile. This is a part of the CodeAfrica Initiative that Ona supports. We will announce more about the CodeAfrica initiative in the upcoming coming. Special thanks to our close friend Renaud Gaudin of Yeleman in Bamako, Mali who helped us generate the data to create this map. The full map with country by user stats can be seen here. 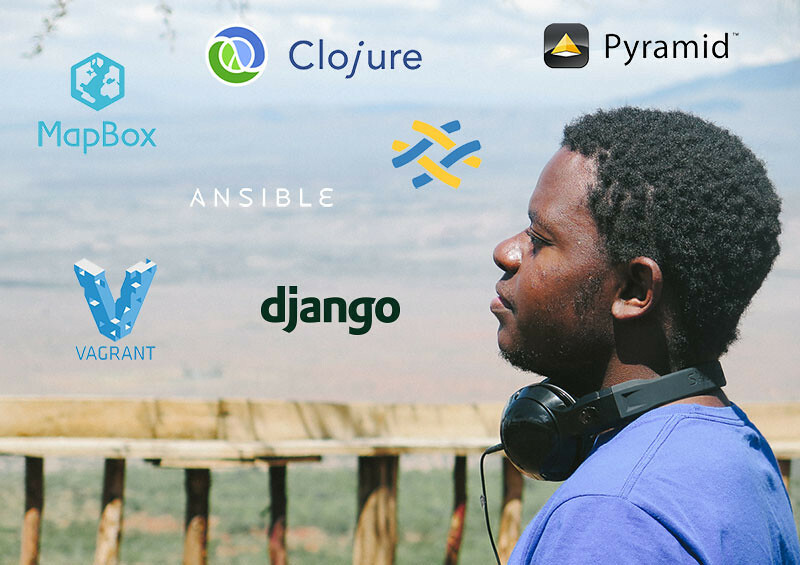 Mapbox, Fabric, Pyramid, Django and Django Rest Framework, Clojure and Clojurescript, Ansible and Vagrant are the technologies I've used at Ona that I remember from the top of my head. Polygot and proud! 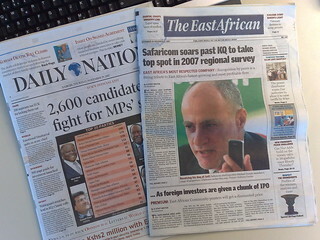 Whether or not I watched news the previous night, I like reading the current day's newspaper in the morning before working on an issue. Yesterday Peter from Ona spoke at PyConZA 2014 about Ona’s work building the vote tallying system for the Libyan Constitutional Assembly Election last February. Earlier this year Ona was given three weeks to write the software that will tally votes in the Libyan elections and decide who wins and who loses. This is not something we could get wrong. We combined agile development with best practices in testing and QA to build an open source tally system that was well tested, accurate, and easy to use. We will describe a success story of iterative behavior/test-driven-development under extreme conditions. Did the structure of the data change the day before the election? Yes. Did we have the tests to ensure that our implementation changes would not compromise the system’s integrity? Yes, and they didn’t. Real world examples they can implement in their own workflow and organizations, Insight into what succeeded (quick iteration with prioritization) and what was challenging (nothing being static), Anecdotes and coherent arguments they can take back to their organization to advocate for best practices.